Angela Isadora Duncan (May 27, 1877-September 14, 1927), the “Mother of Modern Dance,” was a visionary choreographer and dancer who performed her avant-garde technique to worldwide acclaim. Throughout her career she challenged the cultural restrictions of her day in order to create a dance-form based on the natural movements of the human body and self-expression—a concept that was unheard of at the time. Her artistry and genius inspired many of the artists of her time and for generations to come, helping to shape the world of performing arts as we know it today. 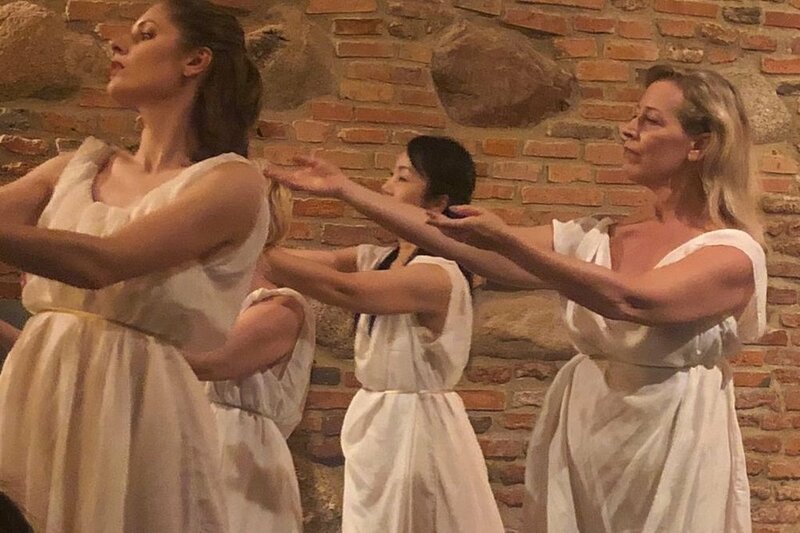 Word Dance Theater’s Duncan lineage is traced directly from our mentor, Jeanne Bresciani, Director of the Isadora Duncan International Institute. Bresciani was trained by Maria Theresa Duncan, one of Isadora’s adopted daughters, with whom Bresciani performed and studied from 1975 to 1986. Word Dance Theater offers weekly technique classes for children and adults. Our classes invite students to find or re-gain the joy of movement through the use of breath as the initiation of the movement and expression of emotion through movement. The Duncan technique encourages holistic movement designed to integrate life into our dance, and dance into our life. We build cardiovascular strength and increase flexibility through our floor work, barre, and locomotive motifs. 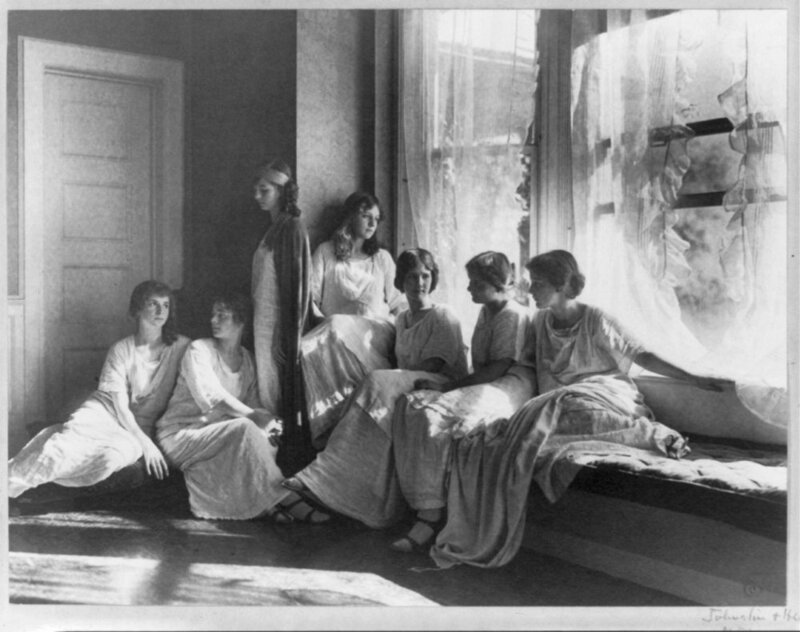 Choreograhic studies derive from the authentic dances of Isadora Duncan as well as mythology, visual art, poetry, and music. Ranging from 1 hour and 15 min. to 2 hours, these classes provide an overview of Duncan’s technique and philosophy of dance. Each class will provide a commentary of Isadora, classic Duncan floor exercises, center work, barre work, and selections of Duncan’s choreography. Master Classes can be tailored for beginning through advanced dancers. FULL DAY: The days begins with a short explanation of the art of Isadora Duncan. Next, students will have a 1.5 hour Duncan technique class. The remainder of the day will consist of students learning an original Duncan dance OR a contemporary piece created using the Duncan technique. Often 1.5 to 2 hours in length, lecture/demonstrations will be customized to accommodate the needs of the educational program. Materials are presented through photography, live dance demonstrations, readings, recordings, and videography.